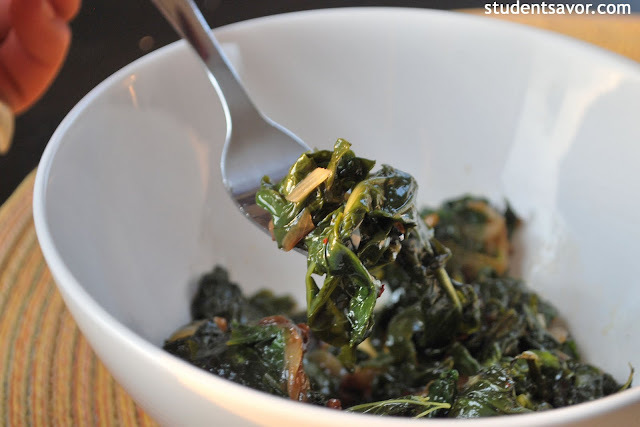 STUDENT SAVOR: Turnip Greens Leftover? Remember the turnips from two recipes ago? Well I still had the turnip greens lying around in my fridge, so I decided turn them into a yummy side dish. These days my life has been a constant juggle of school-work, journalism, and running. Some simple cooking in the mix of course. But this week something very exciting happened--so exciting it made me jump up and down (for those of you who know me well, you know what I mean). Two of my stories got published on the front page of the weekly newspaper I am interning for this summer! Hard weekend work paid off the moment I saw my name printed on a front page! 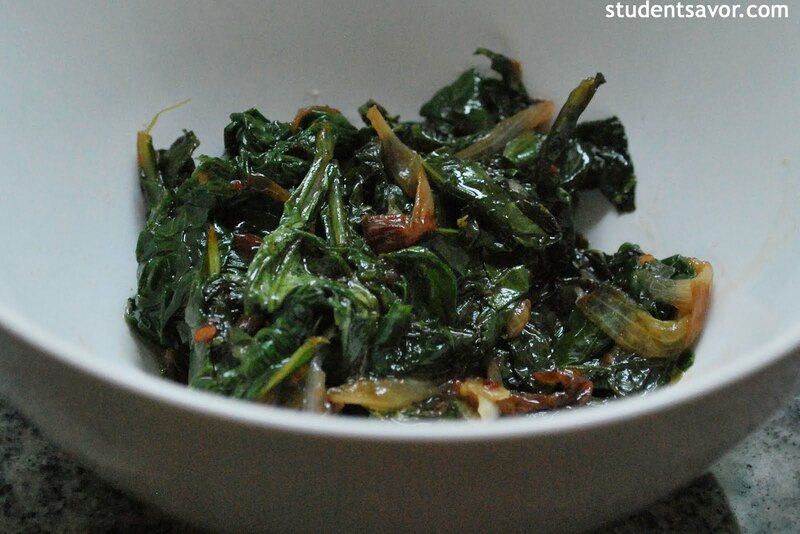 Anyways, here is the recipe, which can also be made with mustard or dandelion greens. In a large pot with a lid, heat oil over medium heat. 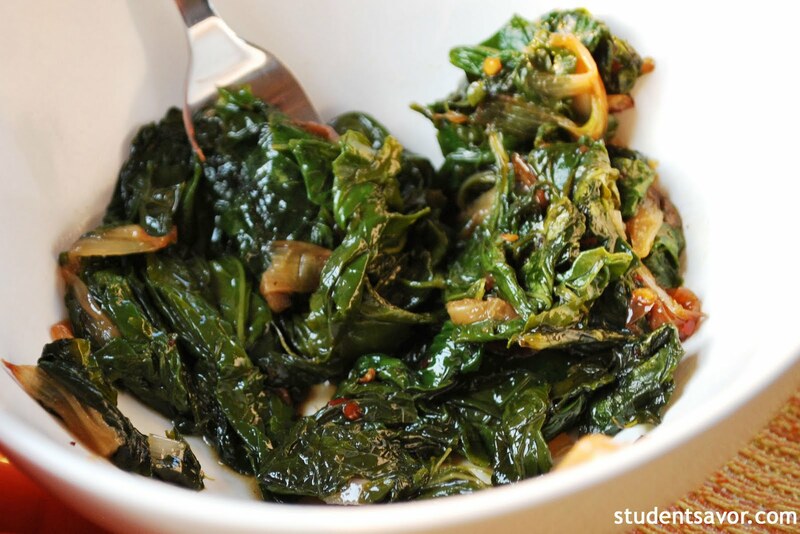 When oil is hot, add shallot slices, red pepper flakes and S & P. Cook for about one minute. Add turnip greens and chicken stock and cover. 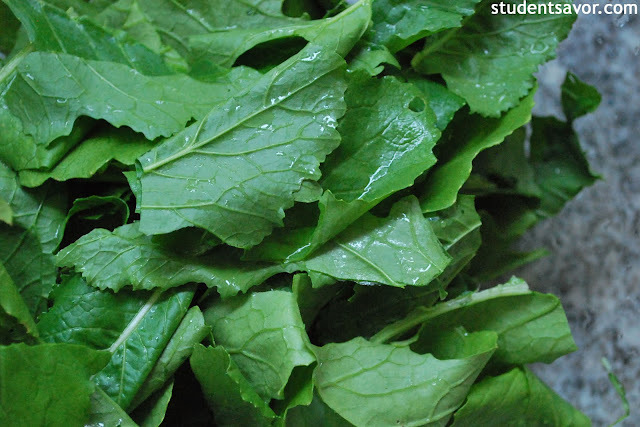 Cook until greens are wilted and beginning to tender, about 5 minutes. Uncover pan and continue to cook, stirring, until almost all the liquid is evaporated and greens are tender, about 5 more minutes. Season to taste, adding more S & P if needed. Add minced shallot and cook for one more minute. Serve hot or at room temperature.